The City Park decoration team did an outstanding job working with area schools, churches, and community groups to decorate the park for the Christmas season. What a joy to drive down Second Avenue after dark and view the lights and other art work! This big guy provided plenty of joy to the downtown crowd meeting to celebrate Christmas! Rotary Club Learns About Coffee Roasting! Congratulations to our 2014 Rotary Scholars! 2014 Gallipolis Rotary Scholarship Recipients. L-R, Haleigh Caldwell of Gallia Academy High School, Kasey Eblin of River Valley High School, President Chuck Clark, Owen Moore, and Halley Alberts, both from Gallia Academy High School. City Manager Hosts April "Last Tuesday"
HS Senior Teaches Rotarians Chinese! Congratulations to PDG Mel and Lydia Simon for the Global Grant to the Philippines! 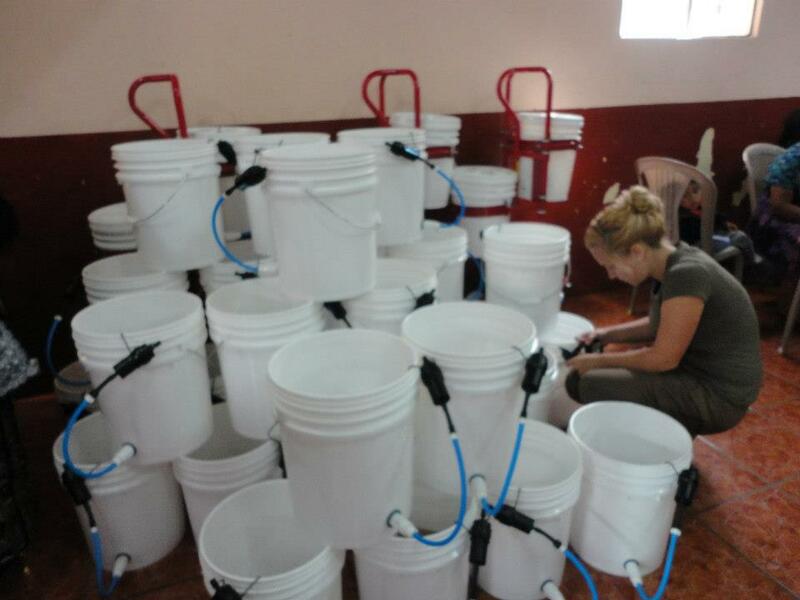 Gallipolis Rotary Operates Water Project in Guatemala! Gallipolis Rotary Briefed by Holzer Health System Chief, Brent Saunders. Rotarians Meet on a Snowy Day! Gallipolis Rotary To Conduct Water Project in Guatemala. Rotarian Jim Morrison was our guest speaker today! Join the Gallipolis Rotary Club!